The kitchen is the one area in the home that is most at risk of a fire and – due to the frequency of false alarms – traditional smoke alarms are no longer recommended by fire services. 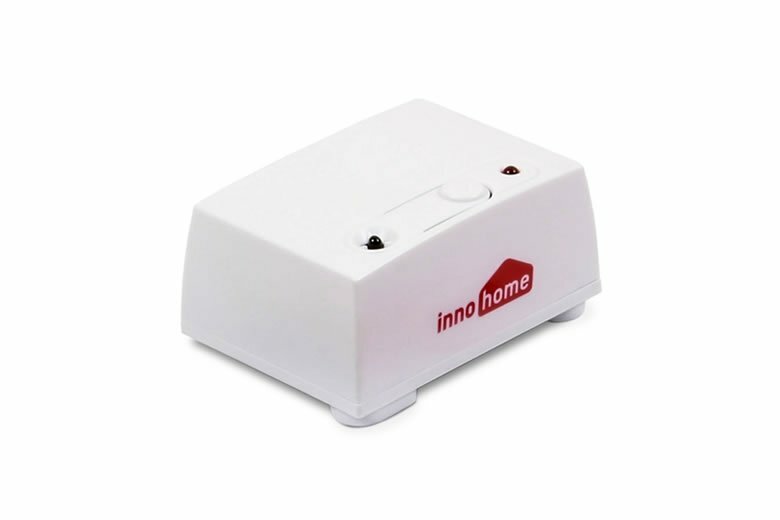 The Innohome Stove Alarm is an affordable solution that can signicantly improve kitchen fire safety. It alerts the user of a hazardous situation before toxic gases can be produced and before a fire can start. 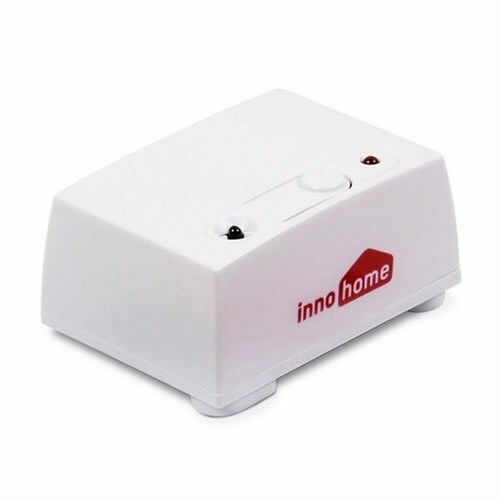 The Stove Alarm also promotes independent living when cooker use becomes high risk due to a person’s advanced age, memory disorders, disability, or learning difficulties. Some UK fire services are currently installing free Stove Alarms in high-risk homes. 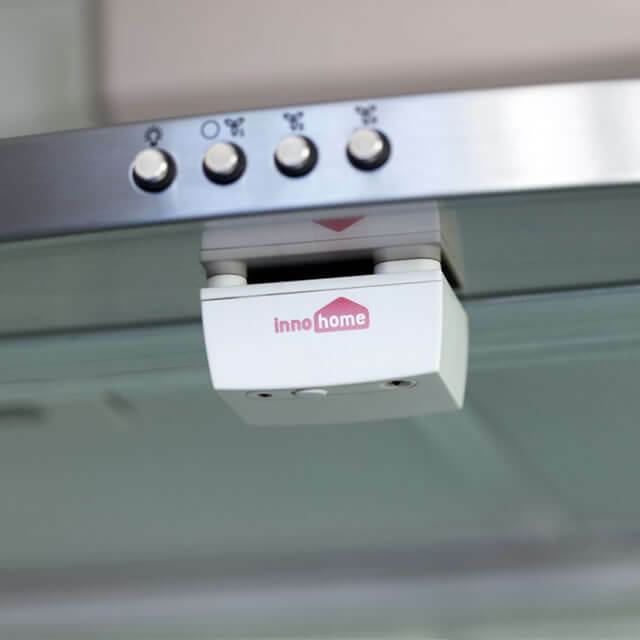 The Stove Alarm is attached beneath the cooker hood with magnets, or to the wall or cooker panel with screws. This small yet highly intelligent device warns of potential hazards, sounding an audible alarm before the formation of toxic gases and before a fire can ignite. 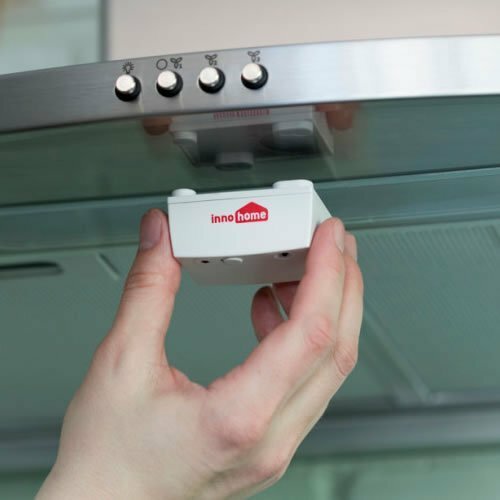 The Stove Alarm is a small device that attaches underneath the cooker hood with magnets or to the wall or cooker panel with screws. The device warns of a hazardous situation with an audible alarm before a fire can start. 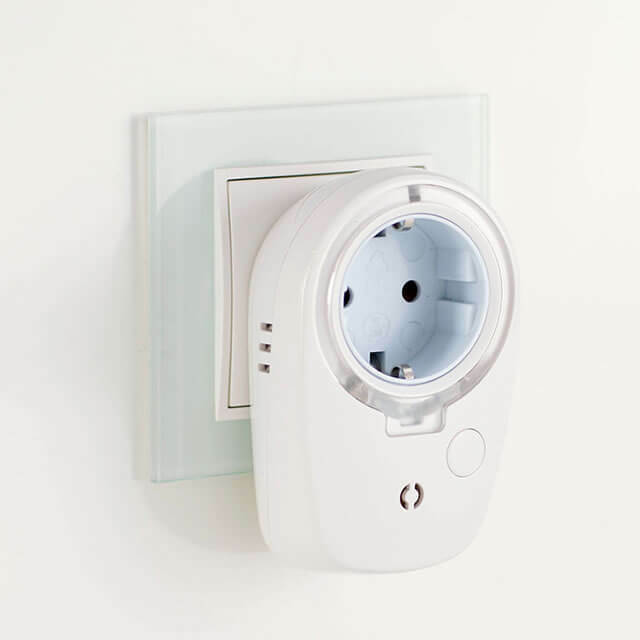 Intelligent, self-learning Maximum Temperature Alarm identifies dangerously high temperatures. 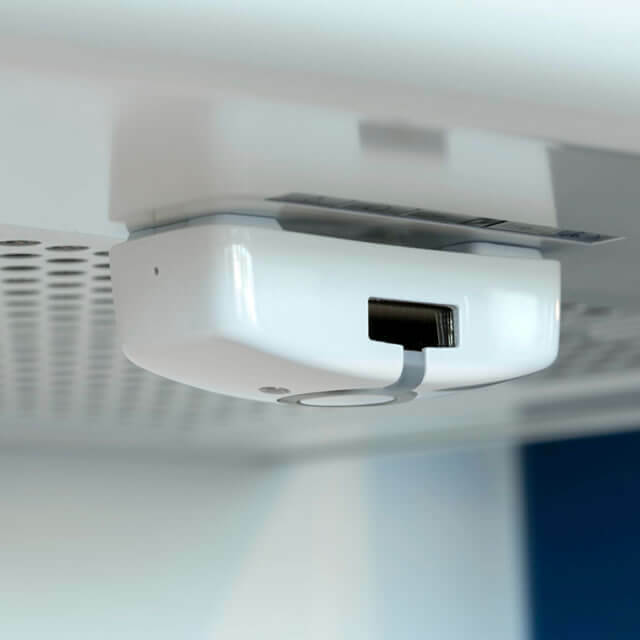 Intelligent, self-learning Temperature Rate of Increase Alarm monitors temperature changes on top of the cooker – a steeply rising temperature is an indication of a developing fire hazard. Identifies overheating early in the development of hazardous situations. Learns its sensitivity based on your cooking styles. Compatible with all cooker types. 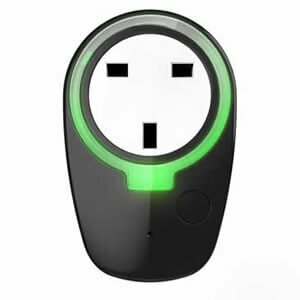 Can be installed instantly with magnets without the need for any tools, cables or external power sources.